Pretty soon, no matter who you are, or where you go, Facebook will always know where you are, and where you've been. Recently the company expanded its Audience Network so it would know the places that anyone, whether they are a Facebook member or not, has visited online. Now it's looking to do the same for the offline world. Facebook unveiled some new advertising features on Tuesday to help brick and mortar retailers drive new customers into their store, and get a better sense of how ads they run on the network affect their sales. First, the company announced what it calls a "native store locator," which is meant to help people find the nearest store location for a retailer running a Facebook ad campaign. It allows users to click on a map within an ad, which will then point them to stores that are close by, along with the address, phone number, hours and travel time to that store. This has the added benefit (for Facebook) of the user not having to navigate out of the app to get all that information. The second piece of the puzzle is the addition of a new metric in Ads Reporting, called store visits, which does exactly what it sounds like. 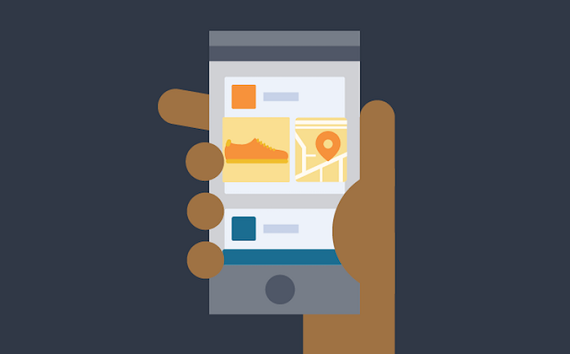 Using the phone's location services (as long as the user has it turned on), it will record the number of people who visited the store after they see a Facebook ad. Finally, Facebook is debuting what it calls "The Offline Conversions API," which allows store-owners to know which transactions that were made either in-store, or over the phone, were a direct result of a Facebook ad. The stores can either get the data directly from Facebook, or through its partners, including IBM, Index, Invoca, Lightspeed, LiveRamp, Marketo and Square. Put all three of those together, and Facebook can show offline retailer that, not only can it drive more customers into the store, but actually get people to buy things. This isn't the first time that Facebook has debuted iniatives to help small businesses. The company launched Local Awareness ads back in 2014 so that "businesses can quickly and easily find new customers by showing ads to groups of people who are near that business’s neighborhood." In January of last year it announced its Place Tips feature, in which businesses would install beacons, which have been designed specifically by Facebook, which would send information about that establishment to people who were nearby. So why go after this market? Because nearly all retail sales in the United States are still done in a brick and mortar store. E-commerce sales in the first quarter of 2016 accounted for only 7.7 percent of total sales, according to The U.S. Census Bureau. By 2019, it will still be less than 10 percent retail sales in the U.S. that will be transacted over the Internet, eMarketer estimates. Basically, if Facebook can prove its ability to grow sales in what is still, by far, the largest commerce channel, it will have struck gold. The opportunity in offline sales has not been lost on startups either, with a number of them using technology to help stores create better traffic flow and convert online sales into offline sales. They include consumer analytics platform AreaMetrics, which raised $2 million earlier this year, and in-store brand engagement platform eyeQ, which raised $3.5 million last month. There's also retail analytics service Euclid, which has raised $23 million in funding, and Retailigence, which raised $13 million, before being acquired by Shopadvisor in April. 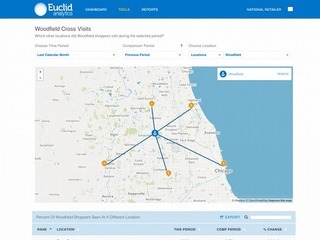 Euclid delivers actionable shopper insights to brick-and-mortar retailers—think Google Analytics for offline retail. Providing real-world metrics like Engagement Rate, Visit Duration, and Visit Frequency, Euclid helps retailers optimize the performance of their marketing, merchandising, and operations. With simple setup and an easy-to-use web dashboard, national chains and local boutiques alike can boost traffic, engagement, loyalty, and revenue. Built on a commitment to protecting individual privacy, Euclid’s technology provides only aggregated, anonymous insights. 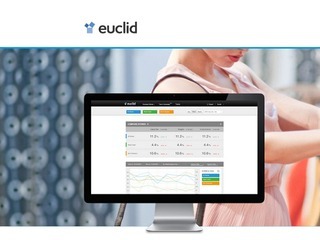 Euclid is redefining retail decision-making, from the stockroom to the boardroom. Retailigence is a hyperlocal marketing platform that utilizes brick-and-mortar inventory data obtained directly from retailers to turn online consumers into offline buyers. Serving both retailers and brands, Retailigence distributes local store inventory-based advertising via its own network of location-based application partners, mobile ad networks, mobile ad exchanges, search providers and social networks.